TMD Technologies, LLC (TMD-US)supplier of professional, world class, microwave and RF products based in Baltimore, Maryland has reported a record year of growth and expansion – winning several new microwave-based military programs and large and important orders from established TMD customers. Also, following the recent appointment of Tom Curtin as Vice President, Sales & Business Development, the TMD-US team has again been further strengthened with new key positions to boost its growing customer base and associated technical support operation. 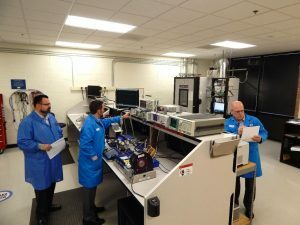 As part of its on-going business development, TMD-US is seeing a substantially increased demand for its travelling wave tube (TWT) based amplifier diagnostics, component level upgrades, and sub-system maintenance.